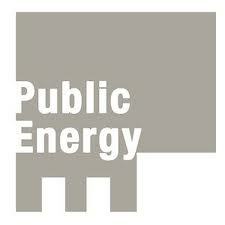 Public Energy is interested in dance and performance of an investigative or experimental nature. We enjoy producing new work, in the form of both premieres and works in progress, and hosting residencies. Our residencies often have an educational component tied into local schools, Trent University, and the community at large. We present both companies and independent choreographers, and prefer full evenings of work. A full account of artists presented since our inception in 1994 is available in the Archive section of our web site. One of the programs we present annually is Emergency, a festival of new work dedicated exclusively to Peterborough area artists. Public Energy also assists touring and local artists with co-presentations of work not included in our mainstage series. There is no deadline for applications, and no fixed time of the year when programming decisions are made. Selection is done by the producer. The initial submission should be as minimal as possible, as we can not guarantee return of unsolicited material (including videotape) unless accompanied by a self-addressed, stamped envelope. The Market Hall Theatre is a multi-purpose theatre with state of the art sound, lighting and projection systgems. Stage area is flexible, up to 40 ft wide (not including wings) and up to 35 ft deep. Floor is sprung hardwood with a dark finish and a black/grey Rosco dance floor. Audience capacity for dance is 215. There are two other facilities occasionally used by Peterborough New Dance: Showplace Peterborough, a 635-seat proscenium stage theatre, and The Theatre On King, a ‘black-box’ space seating 40.